Take the opportunity to stay at the Grand Hotel Leveque located at few minutes walk from the Musee du quai Branly in the 7th district, we are waiting for your visit. See all our deals online : Also 2 days Museum pass available at the Front Desk . The Mayans of pre-Hispanic times, creators of a fascinating civilization, left to posterity dozens of cities revealing striking architecture, a sculpture of great technical perfection, many frescoes, constructions, ceramic vases and a detailed record of their religious beliefs, their rituals, their community life, their habits and their history. 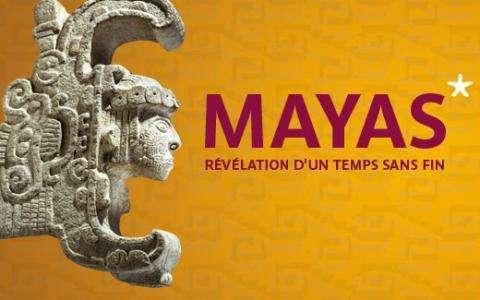 This exhibition features the legacy of the Maya to humanity. Next thematically - the relationship to nature, the power of cities, funeral rites - it lets us see the various aspects of this culture and its creative genius. The exhibition seeks to both general overviews and show the variety of styles and aesthetic achievements of the different Mayan groups, each with its own language and its own expression. Tuesday, Wednesday and Sunday from 11h to 19h, Box Office at 9:30 am (Sundays at 10:30), closing at 18h Thursday, Friday and Saturday from 11am to 21pm, Box Office at 9:30 am, closing at 20h NOTE: Closed on Mondays Exceptional opening Monday of the school holidays from 11h to 19h: 20 and Monday October 27, 2014; Monday 22 and 29 December 2014; Monday 16 and February 23, 2015; Monday, March 2, 2015; Mondays 13, 20 and 27 April 2015; Monday, May 4, 2015 early closure to 18h Thursday 24 and December 31, 2013 (ticket office closes at 17h) VIP entrance, at 9:30 am, for groups (by reservation only Tuesday to Saturday) closed Thursday, December 25, 2014 and Friday, 1 May 2015.